Actor-observer bias is a concept used by psychologists to indicate how we tend to see others and ourselves in different ways. I like to think of it like this. If I see someone walk across a room and nearly trip over a child's toy that has been left on the floor, I tend to think that person is clumsy. If I walk across the room and almost trip in exactly the same way myself, I tend to think that it's because the toy shouldn't have been there. So although this trait may be called a bias, often it's a complete discrepancy between the way we see others and the way we see ourselves. The idea is related to the so-called fundamental attribution error in which, when we observe another person, we tend to make the error of discounting the causes of that person's behaviour that arise from the situation the person is in. 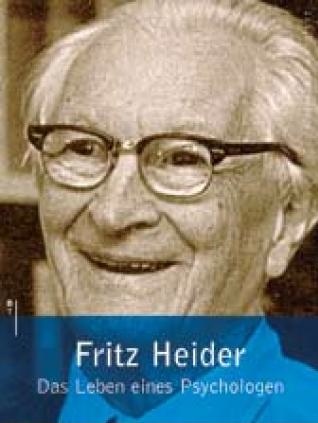 This set of ideas derives from Fritz Heider, who formulated the theory in social psychology that is known as attribution theory, about how we try to understand the behaviour of others and ourselves in terms of its causes. 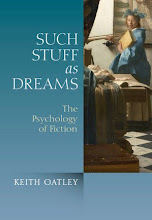 Fiction enables us to overcome the actor-observer discrepancy, to understand from the position of being inside someone how that person might act in a particular situation. The way I have put it is that in planning and acting in our own lives we use an aspect of our mind that I've called the planning processor. With it, we use our knowledge of how the world works to understand the effects of possible actions and, as we pursue our goals, we can thus plan what to do. 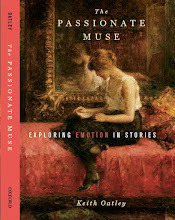 When we read fiction and identify with a protagonist, we enter mentally into a quiet space and put aside our own goals. Instead, we insert the goals and plans of the story's protagonist into our planning processor so that, when the story indicates that this happened, or that, we experience emotions—our own emotions—in response to the happenings and in relation to the protagonist's goals and plans that we've taken on. This is one of the ways in which we can start to see what it is like to be someone else. I am tempted to say that this is the best way in which we can see what it is like to be someone else. I can't speak French. And because people are often so eager in their speaking that they forget to leave spaces between their words, I usually can't understand more than the occasional phrase of spoken French. But with a dictionary and with mental application over a sufficient period of time, I sometimes like to read and translate written pieces from French authors. In this way I have made the following translation from Proust (1913) about the not-yet-invented actor-observer discrepancy. In it, Proust takes the issue even further than did the gallant Heider. A real human being, however profoundly we sympathize with him, is perceived largely by our senses. This means that he remains opaque to us, and offers a dead weight that our perceptions cannot lift. If a misfortune should strike him, it is only in a small part of the total understanding we have of him that we can be moved by this. Even more, it is only in a part of the total understanding he has of himself that he can be moved by himself. 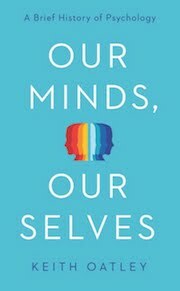 The discovery of the writer of fiction is the idea of replacing those parts that are impenetrable to the mind by an equal quantity of immaterial parts, that is to say parts that our minds can assimilate (p. 84). 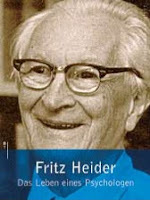 Fritz Heider (1958). 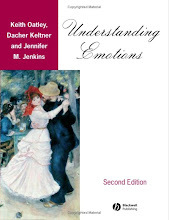 The psychology of interpersonal relations. New York: Wiley. Marcel Proust (1913). Du côté de chez Swann. Paris: Gallimard (current publication 1987). Keith, I enjoyed this very much. I especially enjoyed your mention of reading and translating French with a dictionary. However, I wonder how you would answer a question along the following lines: Why not just read a good translation? I have asked that question of myself and have even had it asked of me as well because I do try to read even in languages which I have not fully mastered. In my experience, the greatest advantage is that it slows me down, and makes me thoughtful and appreciative about the situations of the characters and the language. In addition there is the well-known fact that cultural differences mean that names of institutions or historical entities often get translated with analogous or parallel names--but that very much changes the flavor or color of the scenes I construct in my head as a reader. AKA "formerly a wage slave"
Thanks so much for this comment, Mark. I think I got the idea of doing this from Proust himself. He translated Ruskin's Sesame and Lilies, and when (as I remember) someone said "You must speak very good English" he said something like "No I don't speak it at all, but I've come to understand the mind of Ruskin." So, it's rather as you say, I enjoy trying to translate from French sometimes because it enables me to think more closely about the text. To date, I have translated one of Simenon's Maigret novels, bits of Flaubert, and bits of Proust, and I like to think (probably unfoundedly) that in doing so I can come closer to the authors than some of the usual translators do. Or, to put it another way, because I write novels, and because when I read I like to come as close as I can to the authors in whom I am interested, I can have a go at translating not just the words but the thoughts and then write them in a way that is closer to the way I would if I were writing them myself, so that a reader could get close to them and take them in. I enjoyed reading this post, as well. One reason is that I too love slow reading, word picking, and especially working with the dictionary. And then, a book has as many meanings as there are readings or readers. And each translation can be priceless, depending on the flavors and perspectives each translator brings, although some are better than the others.